Since its founding in 2015, Vega has actively worked with women coffee farmers in Nicaragua to highlight their invaluable role in a male-dominated industry. Globally, most of the 20 million coffee farmers that live in poverty are women; yet they are responsible for 70% of coffee production. Vega drives change towards gender equity by hiring women as coffee roasters and spotlighting them on its website. 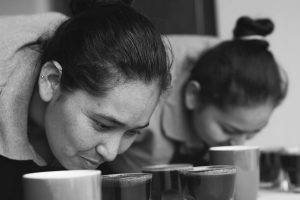 Moreover, Vega empowers women farmers by providing them with the necessary tools and training to turn their coffee into successful products in multiple countries. With the company’s help, women farmers earn four times more income, which they invest into their communities to create a path for future women farmers.